B had always told me about Palo Duro Canyon and how amazing it was so I was THRILLED when B's mom surprised us and took us there to check out the Canyon AND watch TEXAS, the musical. Palo Duro is the second largest canyon in the US. I've been to Waimea Canyon in Kauai and after Palo Duro, all I have left to see is the Grand Canyon. I mean, I've seen the Grand Canyon from above a plane, but never on the ground. I enjoyed living in the south over the last year and a half, but seeing the red dirt and rocks just make me feel closer to home. I am definitely a beach lover but the desert also has a huge part of my heart. After a lovely briscuit, sausage and ham dinner catered by Feldman's Wrong Way Diner, we took in the sights and waited for the musical to start. It is a great show to take the family. I thoroughly enjoyed it and the amphitheatre where it is performed is just a gorgeous venue. We are enjoying a few days in Amarillo visiting with B's mom, stepdad and Uncle Newt, before we hit the road again. Stay tuned because we will be reaching our new home on Friday ! 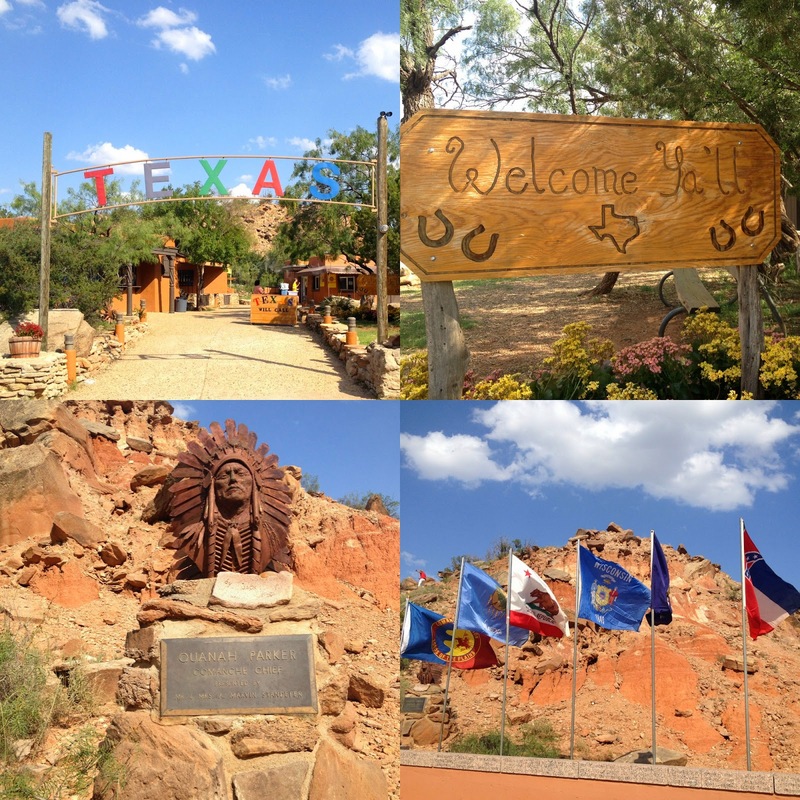 Have you ever been to Palo Duro Canyon or Amarillo?